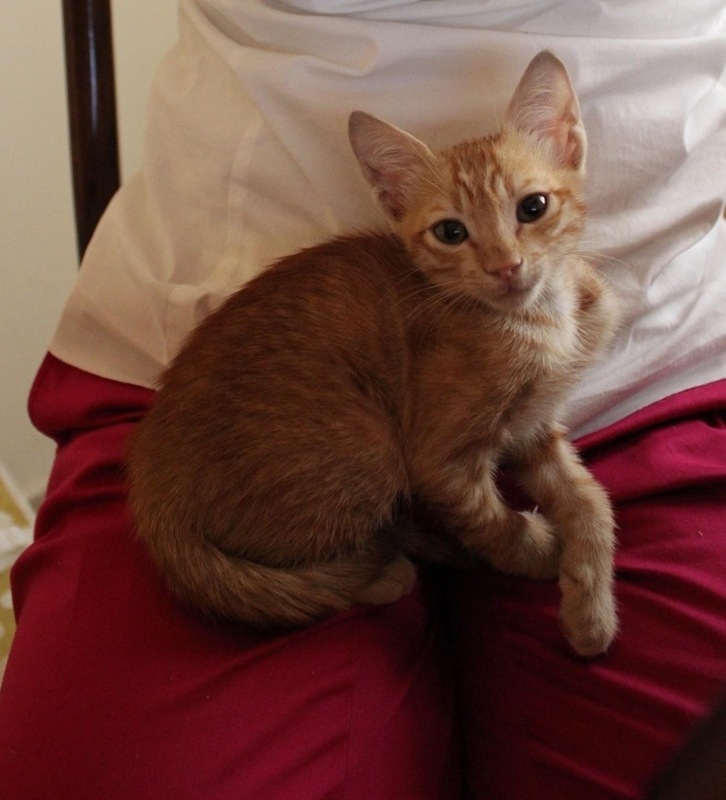 We’d like to introduce you to the newest addition to our life in Kuwait…Nemr (نمر)! He is 4 weeks old and was rescued by some friends of ours here. Our friends couldn’t keep him and we decided there are already too many feral cats on the street here. We hope we can give him a great life here 🙂 His name is Arabic for tiger and a little hard to say, but we think Nemr is the best way to spell the way it sounds. Hopefully we’ll be able to learn Arabic soon so we can say his name correctly! He loves to play and run around our apartment. He slides and jumps all over the place! He also loves to be with us and on us…he follows us everywhere and usually wants us to be paying attention to him 🙂 High maintenance at night, but adorable all the same! OMG…just saw pic on FB!!!! He is soooooooooooo cute!!!!!!! Also feral cats are carriers for rabies .. so be careful. We would never have taken him in if we weren’t committed to taking good care of him for his entire life. 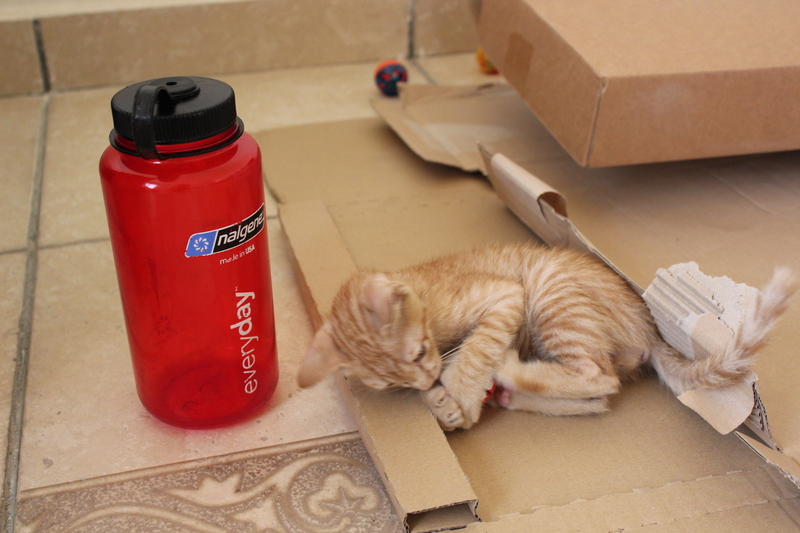 He’ll be going to a vet ASAP and we will make sure he is healthy and happy no matter where we go in the world.